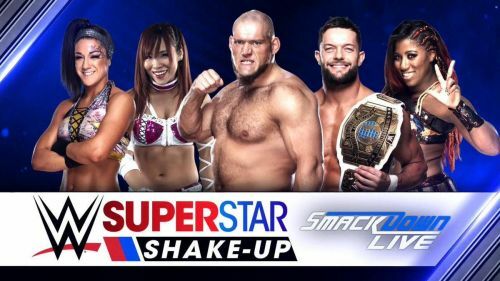 WWE continued it’s annual superstar shakeup last night on Smackdown live as talent found a new home on the blue brand. After losing AJ Styles, the Miz and the Uso’s along with several more to RAW people were anxious to see who was switching over to Tuesday nights. Vince McMahon promised to announce the biggest signing by Smackdown ever and that really got the fans fired up. Finally the time had come to close out the superstar shakeup. 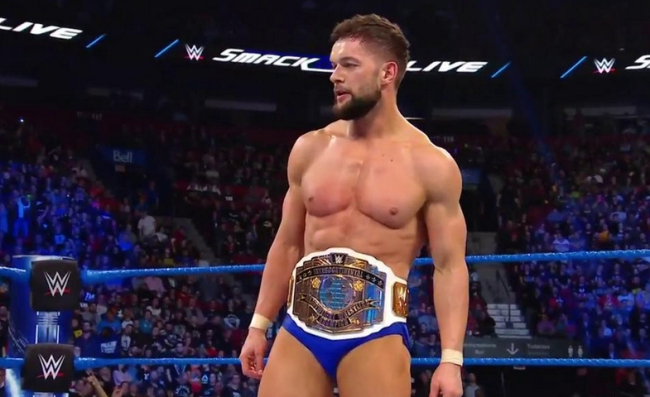 Right off the bat Smackdown revealed a huge addition in the way of Finn Balor the Intercontinental champion.. Finn had an entertaining match with Mustafa Ali and reminded the blue brand of just how athletic and electric he can be. Lars Sullivan who had been named a RAW superstar Monday night was stolen by Smackdown as this insane beast once again appeared only to destroy another fan favorite. This time his attention was set on R-Truth and while Truth attempted to fight back he was no match for Sullivan. The thing to pay most attention to is the way Sullivan looked at Carmella and the way Carmella looked at Lars. Was that the look of man who wanted to destroy her or a man who wanted to posses her? Was that a look of a Woman in sheer fear or a Woman who was in awe of what that maniacal man just did? Keep an eye on this one. 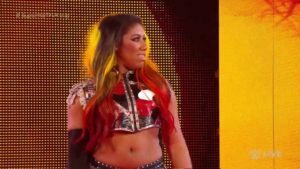 Bayley and Ember Moon made the move to the blue brand last night. Ember is an excellent addition and a huge up grade after Smackdown lost Naomi to RAW. 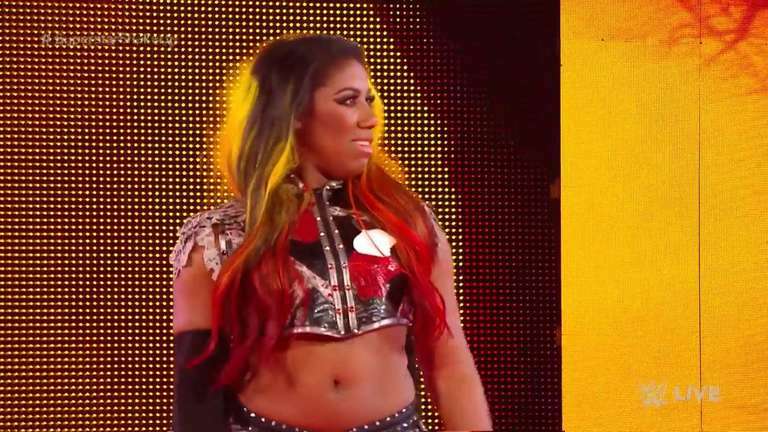 Ember is a legitimate contender for the Women’s title and has the skill set to have a match of the night at any time. Bayley wasn’t a shock as I could see a split coming after Sasha had her little breakdown in the locker room over dropping their tag team titles at Wrestlemania. Asuka was announced as the one half of the new tag team that Paige would usher into the blue brand before being joined by the NXT pirate princess Kairi Sane. 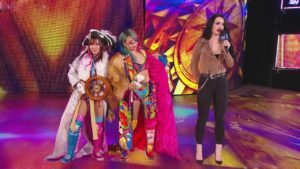 Sane and Asuka make one helluva tag team and are an immediate threat to take the Women’s tag team titles. Buddy Murphy was also announced via a recorded statement from Murphy as the former Cruiserweight champion was projected to move to the main roster after dropping his title at Wrestlemania. Reports also had Liv Morgan and Mickie James moving to the blue brand but I didn’t see them announced. Sadly it appears the Riott Squad is done or at the very least down to a duo. Elias was announced by McMahon to the surprise of the crowd as the biggest acquisition by the blue brand. While he is entertaining and people enjoy the spots he wasn’t what people expected in that spot. Que the music of one Roman Reigns. Roman hit the ring and laid out Elias in big dog fashion before directing his attention to Vince. Roman landed a superman punch on the majority owner of WWE dropping him like a bad habit. 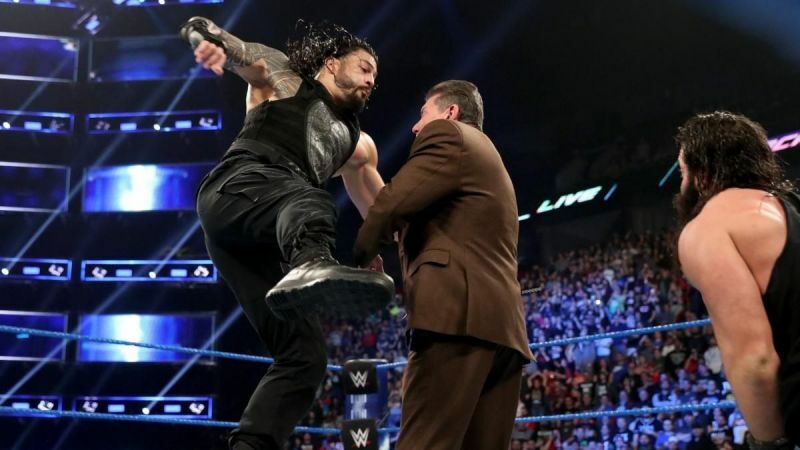 Reigns had laid the smackdown on Vince McMahon.